Welcome back to our adventure in discovering the proven ways we can build trust. As I’ve shared earlier, trust is a natural outgrowth of countless actions, words, thoughts and intentions. We have to be willing to take action on a daily basis to earn trust. 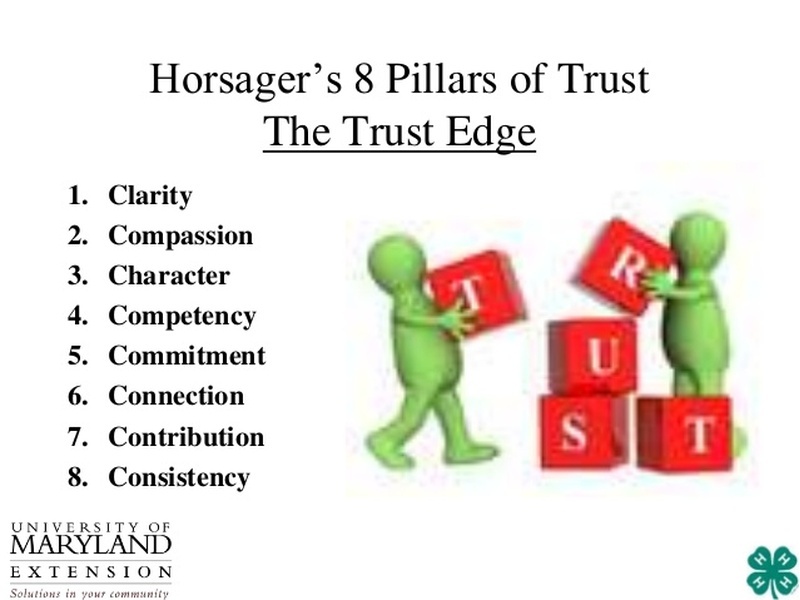 Over the past three articles, I’ve touched on six of the Eight Pillars of Trust, from David Horsager’s book, “The Trust Edge.” The last two pillars provide a great deal for all of us to contemplate. 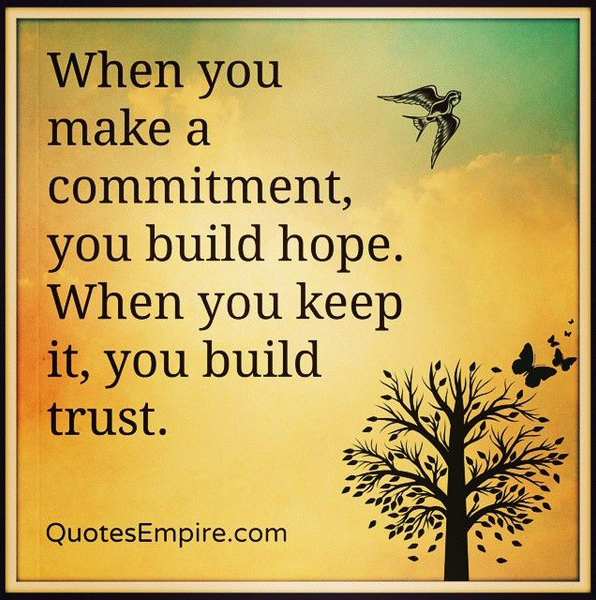 To put it simply, you’ve got to DO something to build trust! Taking action leads to results. Contribution involves taking action. If you’re like me, you may worry over making an action “perfect.” But then what happens? We can get stopped in our tracks. How can we ever make something perfect? Keep a clear desk – Leads to a clear mind – which results in high productivity. Email efficiency – Limit your email checking to specific times during the day. Practice a power hour – Take a quiet hour each morning – no interruptions. Focus on the activities you’ve identified for your greatest impact. Horsager recommends taking the last fifteen minutes of a workday to plan and prioritize activities for the next day. Then, you not only remember the most important tasks, but you’re ready for success. At the start of your morning, take out a sticky note. Write your most important goal. Then write the numbers 1-5 down the paper. Next to the 1, write the most important thing you could do today to reach that goal. Then write the next most important things under 2,3, 4, and 5. “Every minute you spend planning saves you an average of approximately 10 minutes in execution.” Brian Tracy. Without consistency, none of the other pillars will matter. Consistency is like a savings account. You put a small amount in each day, and over time, it pays you back in safety and security. But if you spend it all in one week, you’re starting at the beginning. Like your savings account, trust is built over time. Imagine that trust is like oxygen in our air. We don’t think about it constantly, but it plays a vital role. With every interaction we take, trust increases or decreases. Ultimately, people are judging us not by our words, but by our actions. To build trust, we often rely on references and reviews. What people say about us matters. Indeed, I think the time has never been more urgent than for us to be as trustworthy as possible. In our world, the foundation of trust seems to be at an all-time low. The public is uncertain who to believe anymore. 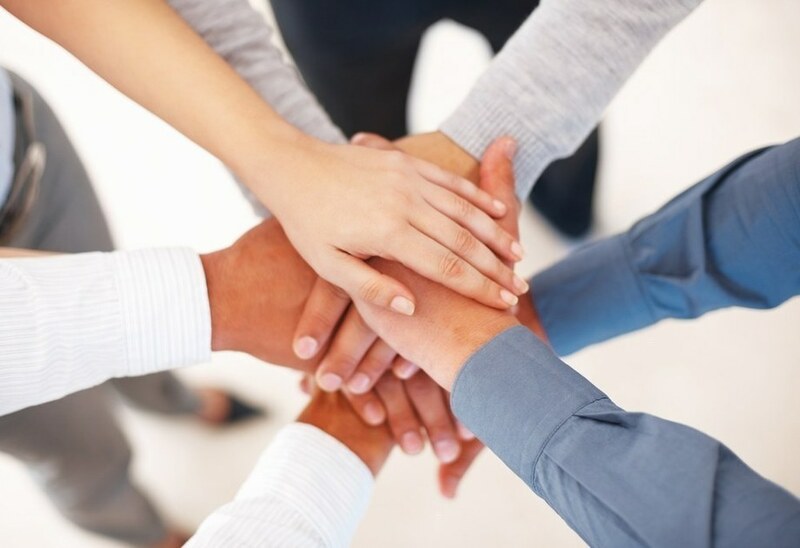 As we lead by example in being trustworthy, I believe we can inspire others to follow the same actions. Follow the Eight Pillars of Trust. You’ll gain a competitive edge. Acquire a mass following. And live a happier and more fulfilled life. Trust is THE currency of business and life today!